Undisturbed and yet centrally located: Löhnberg is beautifully situated between Limburg and Wetzlar. By car you need less than half an hour from the A3 (exit Limburg) via the B49 to the exit Löhnberg (just behind Weilburg). 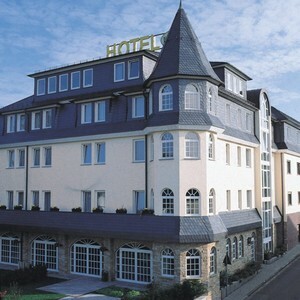 on the left is the hotel »Zur Krone«. From Frankfurt Airport by train to Frankfurt Central Station, from which trains run every hour to Limburg (about 1.5 hours drive). From main station Limburg: continue by train to Weilburg or Löhnberg train station. From Frankfurt Airport take the ICE train to the ICE train station (about 20 minutes). From there, e.g. 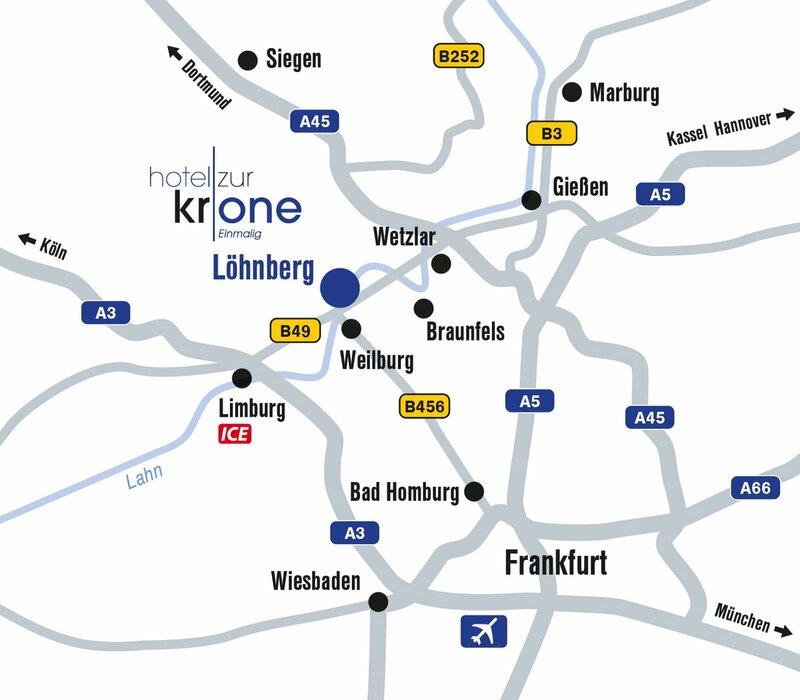 Take the bus shuttle (included in the fare) to the main train station in Limburg, 2 km away, and then take the train to Weilburg or Löhnberg train station.